Hehe.. I've got these Edge parts waiting for right blank. Now it's time! MardukFIN wrote: Hehe.. I've got these Edge parts waiting for right blank. Now it's time! How did you get an Edge reel seat? And the woven grip? Did you remove it from a different rod? Hobie-Wan Kenobi wrote: How did you get an Edge reel seat? sarcazmo wrote: And the woven grip? Did you remove it from a different rod? I'm 100% sure those parts were available from NFC at one time, but not sure if they still are. I was considering it for one of my custom rods, until I tried out a Wiebe seat on an old G. Loomis rod. I'm funny about reel seats, and it's just not for me. Your results may vary. About year ago there were special deal. Buy NFC blank and get grip + offset seat. Got two sets. Sorry I missed out on that deal! Beautiful work as always! Really like the offset seats. 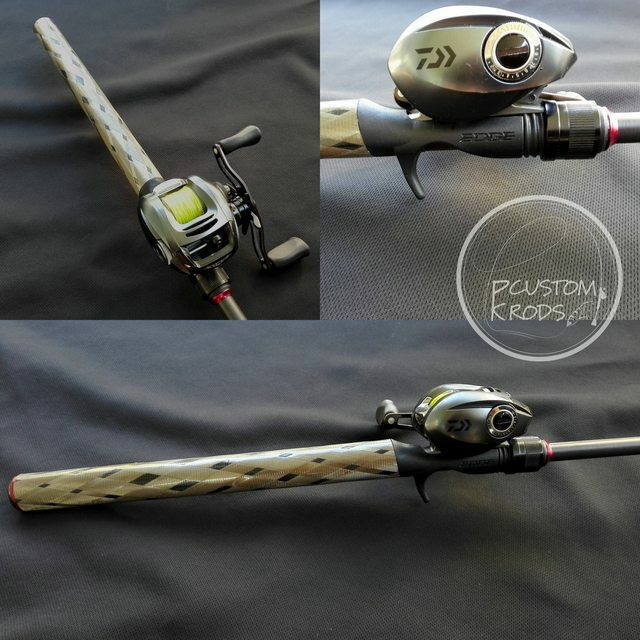 Daiwa also use something similar but yet to find a source to purchase them from. sarcazmo wrote: Sorry I missed out on that deal! Beautiful work as always! Great! It's very sensitive but also powerful. Best rod i have.